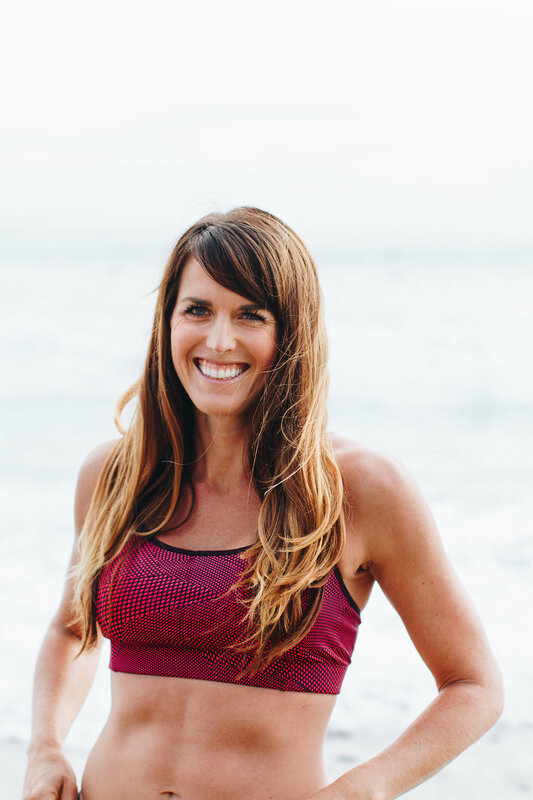 The Dailey Method, my favorite of the barre studio, has come out recently with a new class that puts a whole new twist on “Doing it Dailey” – Dailey Interval! Dailey Interval is a shorter, but higher intensity version of the original Dailey Method class that focuses on getting the heart pumping and the thighs burning! Yesterday morning at 6 a.m. I got to try this workout for the first time. Despite being high intensity, the class is low impact. I was expecting a lot more movement and jumping around, but instead of plyometric moves, the class utilizes more static and low impact moves that engage large muscle groups (i.e quads, glutes) to create heat and energy (i.e. burn major calories!). Very often we were simply holding a position rather than moving, yet my heart was pumping and sweat was pouring! The class mixes holding intense positions with periods of movement, usually in the forms of squats, plies and lunges coordinated with hand motions. Both feet never leave the floor. Each exercise is one minute long and there is very little stopping for stretching (unlike the original class which incorporates several minutes of stretching throughout). Honestly after this six minute warm-up I was spent! My legs were burning, my shoulders were on fire and my buns were toasted. I started to wonder what I got myself into! The class continued with this intensity, stopping very briefly to move from the center of the room to the bar or back. There was only one set of focused abdominal work but the class was working the core the entire time via planks and other moves. The focus of the moves was definitely on the legs since they are such large muscles and utilizing them gets the heart rate up, but there were also plenty of push-ups and planks to work the arm muscles. There were also some coordinated movements that were more “dancy” than the traditional Dailey Method Class. I wouldn’t say I have great rhythm but I was able to keep up. By the end of the 45 minute class I was spent! The entire 45 minutes was utilized and every inch of my body got a great workout. Personally I felt that this class was a better leg and glute workout than the traditional class, mostly because I enjoy movement in my leg strengthening more than I do static poses. Traditional Dailey Method classes keep you in the same position for very long periods of time and sometimes I have difficultly with mental toughness to get through the pain. The movements in this class helped me keep my mind off the pain a bit more! I really enjoyed this class and I think that Dailey Method was really smart to add it to their schedule. It offers a great supplement to the traditional classes by providing a cardiovascular workout at the same time as strengthening the entire body. It’s also a nice change that I think will keep the Dailey Method members coming back for more! If you have tried barre classes, do you prefer ones that make you sweat or are more focused on alignment, stretching and strength? Have you tried Dailey Interval? Yaaaaay interval! Reading old posts on TDM to see if anyone talks about which triathlon exercises to pair TDM with! TDM teacher training + 70.3 training is….insane. Also, the lady in yellow in the top pic is my studio owner and TDM guru Kerry! Love the dailey method and would love to become an instructor does anyone know where I can take the course? I would ask your local studio 1 they would know !